If you hadn’t guessed already, I bought myself some matte nail polish this week. I’ve never tried matte polish so thought I’d give it a go, keep up with trends and all that. As Barry M have never steered me wrong in the past I thought I’d try their Matte Nail Polish in Black Espresso. As you’d expect this nail polish does come out matte, but it doesn’t stay matte. I’ve had the polish on for about five days now and, whatever substance they put in the polish to make it matte has worn off. Now, its not shiny because I didn’t put a top coat on it (an its not designed to be glossy and shiny) but instead it just has a dull shine which is ok… not great but it doesn’t look terrible. One of my main concerns with this polish was its staying power. You can’t put a top coat on as that defeats the point of a matte polish so there is nothing to seal in the polish and preserve it (or make your nails look smooth!). As a result, my nails are a little chipped after five days and I am sick of seeing the ridges in my nails! I don’t think this polish is for me. I really didn’t like the feel of my nails with the matte polish on – it felt a bit like a blackboard! But if you are a fan of the matte look then I think this is a pretty decent quality polish. It is very opaque (granted I got black, but one coat would have been enough to cover the nail) and it is does look good on. The failing of matte polishes generally is its longevity but this polish isn’t too bad. My first finger and thumbs are chipped around the edges but my other nails are pretty much fine. I think this polish is perfect for a night out or the weekend but its definitely not a polish that will look good all week. Get this polish on the high street for £3.99 and comes in five perfect-for-Autumn colours; black, burgundy, caramel, mocha and vanilla. What do you think of matte polishes? Have you tried the Barry M nail polishes? What did you think? Leave links and comments below! 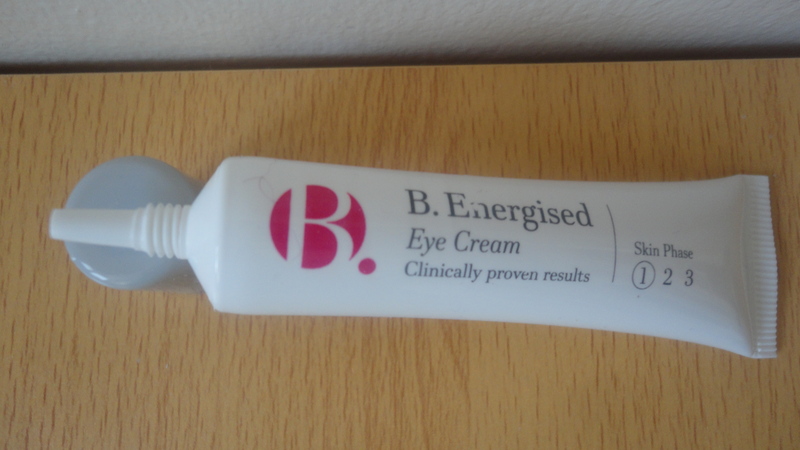 I’d been thinking for a while that I should buy an eye cream. Not that I’m getting old or anything, but I’m often reminded that what we do with our skin today reflects on how it looks in the future. I cleanse and moisturise the rest of my face everyday so why not my eyes too? With their delicate and fragile skin, it seems crazy to not give them the attention and care they deserve. Furthermore, on a personal note, I think my eyes are my best feature so I decided to give them a bit of TLC! This stuff is wonderful! I seriously can’t praise it highly enough. It reduced my dark circles dramatically – after two days I had hardly any darkness under my eyes. It also reduced the puffiness I was getting from working late hours and little sleep. Plus the whole formula is cooling so perks you up in the mornings! 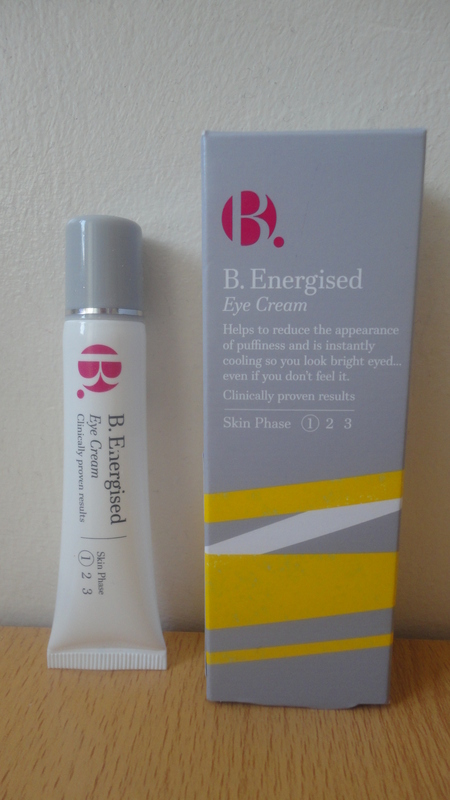 Brightens – Live Yeast Cell Extract helps reduce the appearance of dark circles. Cools and de-puffs – With Allantoin and Caffeine. Hydrates – With a delicate blend of moisturisers (including Hyaluronic Acid). This eye cream is for ‘Skin Phase 1’ ie 20s and 30s (as I am 23) but there are eye creams available through Skin Phases 2 and 3, and the formulations change according your skin needs as you get older. I actually couldn’t believe how much of an effect this had on my eyes – they look healthier, brighter and much less puffy. I will definitely purchase this again. Also, at £8.99 a tube this is much cheaper than the high end products, and noticeably cheaper that the other drug store creams. Bargain! I love it! What eye creams do you use? Have you tried any other B. products? Am I silly to be worrying about my eyes at 23?! Probably. Leave comments and links below as I love checking out new blogs!